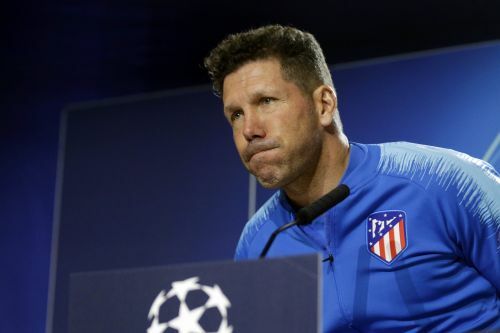 UEFA says Simeone has been fined 20,000 euros ($22,500) for improper conduct. Atletico beat Juventus 2-0 in Madrid last month. The return game in Turin is on Tuesday. Simeone turned to his team's fans and made the gesture after Atletico defender Jose Maria Gimenez scored late in the first leg. The Argentine coach said the gesture showed he had the courage to make tough selection decisions. Two days later, he apologized. UEFA also fined Atletico 38,000 euros ($42,750) for charges including fans throwing objects.